Tomorrow night, you’ll want to head down to One Eyed Jacks for King Tuff. Tuff is the persona of Kyle Thomas known for his excellent solo work and as a member of Ty Segall’s band, The Muggers. 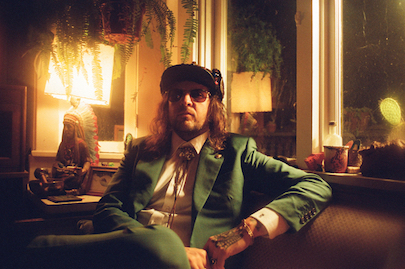 His latest record as King Tuff – The Other – was just released in April. This album stands above anything we’ve seen from Thomas so far. Here he makes a conscious and examined effort to shift his sound. The songs are funky and funny and socially aware and the whole thing is still infused with just enough of Ty Segall’s influence. The more I listen to this record, the more fascinated I become with it. You’ll definitely want to check out this show. The video for “Psycho Star” is below. Next Thursday night the 9th Hangout Festival kicks off with their pre-party. This year the party features performances by Phantogram, T-Pain, K.Flay and The Knocks. Phantogram was one of my absolute highlight of the 2015 festival and this is your only chance to see them next week as they will not be playing at the festival proper, so make sure to grab your kickoff tickets. I like following Jazz Fest with Hangout because while the former specializes in building a narrative of musical legacies, the latter is very much of the moment. If you want to know what’s going on in music right now, Hangout is the place to be. The beach makes a great backdrop for big anthemic songs, and this year the organizers have done a great job in booking to suit their surroundings. Next week I’ll be back with a breakdown of some of the key acts you’ll want to look out for when the gates open on Friday, along with a schedule breakdown. We’ll also have daily updates and photos from the fest as usual. This is a rare year where the festival hasn’t sold out in advance, so you still have a chance to grab a condo and a shuttle pass. Of all the fests around, this one has the best view for sure. Tonight, Neighbor Lady is at the Ace Hotel. Tomorrow, you can catch King Tuff at Jacks or The Lighthouse and The Whaler at Gasa. Saturday, Kermit Ruffins rolls into Tips. Sunday, Dweezil Zappa is at Tips. Monday, nerdcore stalwart MC Chris is at Jacks with Bitforce. Tuesday, Geographer is at Gasa and Kimbra will be at Republic with Son Lux. Wednesday, is a tough call, the Dirty Projectors are at Republic while Dr. Dog takes the stage at the Joy with Son Little.